Each shift is linked to a cash drawer (also known as a till session). A cash drawer in ROBOTILL is not the electronic cash drawer but the cash in the drawer that is linked to that specific shift. A drawer is usually opened (started) with a float amount (change). 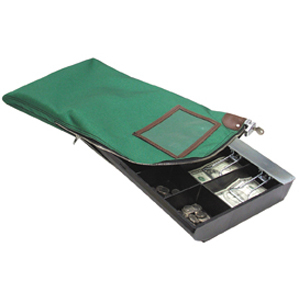 At the end of the shift, the money in the drawer is usually placed in a money bag and returned to management so that the cash can be counted. A user will be able to take his cash drawer (float money allocated to him) and log into any till. Not only cash is linked to a cash drawer, but all actions that is performed by that cashier during the shift including refunds, account payments, etc. There is no time limit to a shift and a cash drawer can be left open for more than one day. 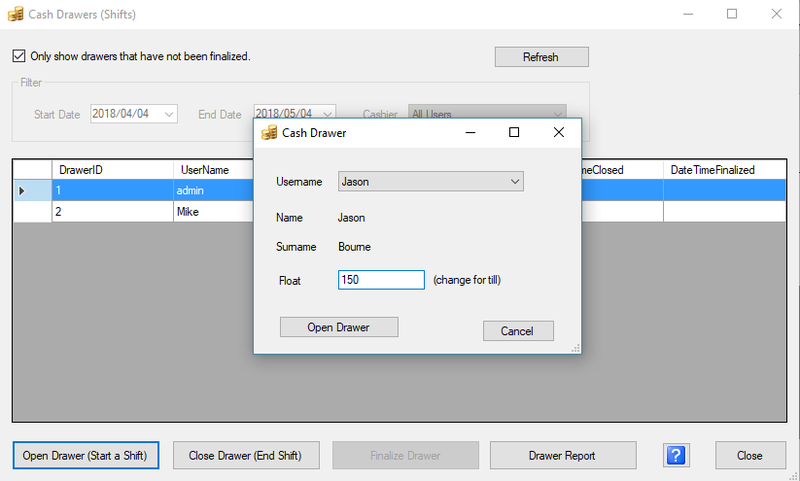 To allocate a drawer if you chose not to let the system automatically allocate a drawer, of if you want to override the default float amount, go to ROBOTILL Manager > 'Cash Drawers and Shifts' and click on 'Open Drawer'.